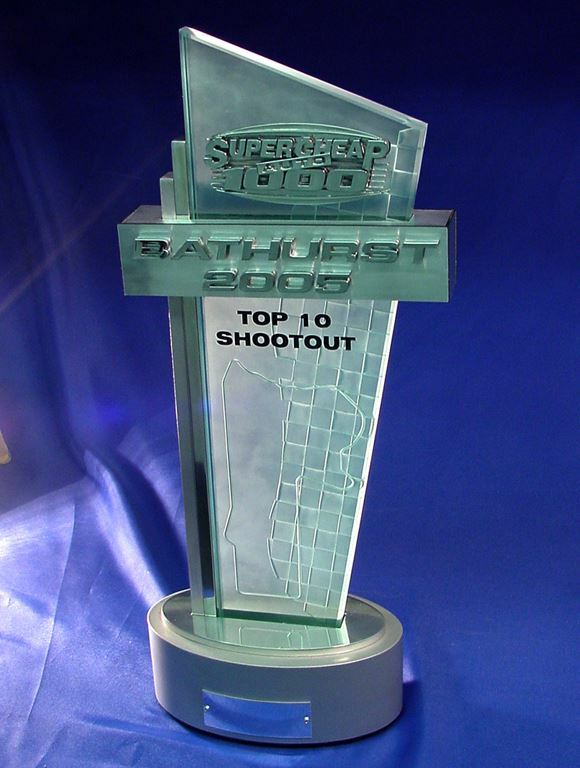 Supercheap Auto Bathurst Top 10 Award. Made from metal, glass, and timber. The glass is cut and polished then deep etched before being full frosted from behind. The award is finished off with a polished metal-plated logo and text. To request a quote press the ENQUIRE NOW button or press the ADD TO MY CHOICE button to add the design to your own CHOICE page where you can enquire about multiple products in one contact with us.